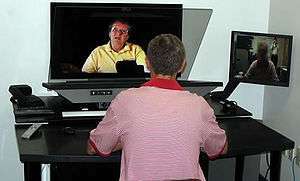 The term telepresence was coined in a 1980 article by Minsky, who outlined his vision for an adapted version of the older concept of teleoperation that focused on giving a remote participant a feeling of actually being present at a different location. Hilton Hotels had originally licensed to install them in their hotels throughout the United States and other countries, but use was low. The idea lost momentum, with Hilton eventually backing out. 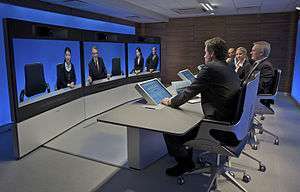 TeleSuite later began to focus less on the hospitality industry and more on business-oriented telepresence systems. Shareholders eventually held enough stock to replace the company's original leadership, which ultimately led to its collapse. David Allen purchased all of the assets of TeleSuite and appointed Scott Allen as president, and Brian Kinne as Executive Vice President  of the new company called Destiny Conferencing. ↑ Marvin Minsky (June 1980). 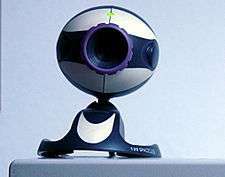 "Telepresence". Omni.